Professor Snippet, the micro scientist, takes an amazing, internal, fact finding voyage around the body. Beginning with the mouth the professor clearly explains the functions of body parts as he journeys from head to toe. 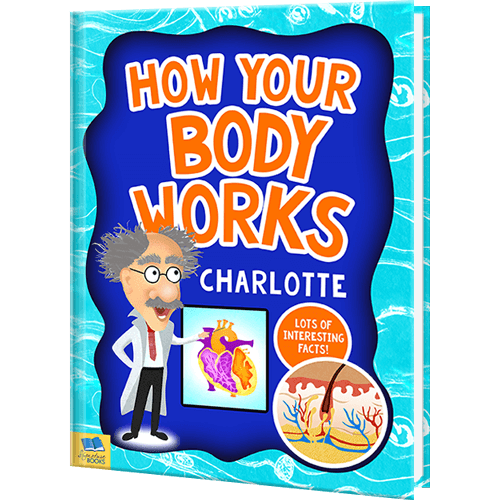 With colorful illustrations this book is ideal as a basic introduction for young ones to human biology. The book is personalized throughout with a child’s name, and you can add a personal message to the opening page to make this a truly personal, educational gift.